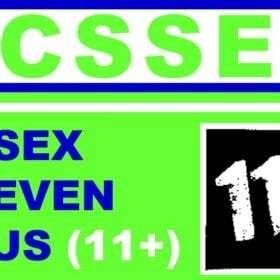 The CSSE Essex 11+ Test is designed for children who are looking to apply for a place at one of the ten Grammar schools that are part of the consortium of selective schools in Essex. The Maths test is designed to test the skills pupils will have been learning at school in key stage two. 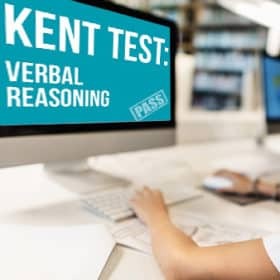 This revision guide serves as a way of familiarising students with the types of questions they will be asked in the exam and also contains a whole host of helpful advice for parents and children alike. It also contains three practice papers to complete along with answers and explanations. 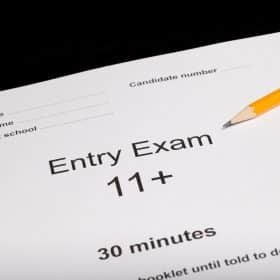 In their final year of primary school (Year 6), pupils may take an 11+ assessment in order to ascertain whether or not they are suited to a grammar school. Colchester County High School for Girls. King Edward VI Grammar School. Southend High School for Boys. Southend High School for Girls. Bernard’s High School for Girls. Thomas More High School for Boys. Westcliff High School for Boys. Westcliff High School for Girls. Any pupil who wishes to apply for one of the following schools will be required to sit the CSSE 11+ test. The test itself consists of a Maths paper and an English paper. Our revision guide contains three example practice papers based on the types of questions children will be asked in the real exam, as well as hints and tips on how best to prepare for it. It will provide children with a solid understanding of what to expect from the exam. 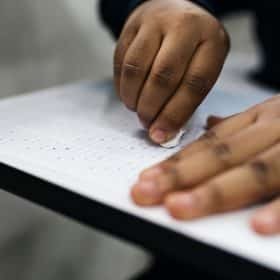 It will also give a clear guide as to the kind of skills and questions they are confident with as well as an insight into the types of things that require a little bit more practice to perfect. 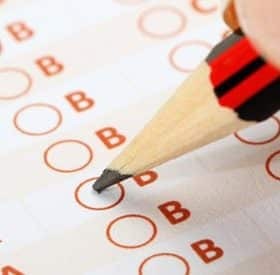 The answers at the end of each section will give an indication as to how well your child is performing. 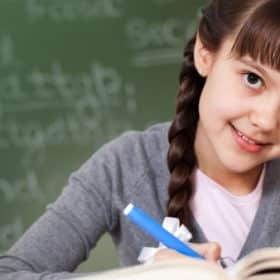 It will enable your child to practice all the essential skills and techniques that will be measured during the 11+ examinations. Answers and explanations to them. The following calculation has one digit missing. Where there is a question mark, find the digit that completes the calculation. Work out the missing number that completes this fraction calculation. The following image is of an unfolded dice. 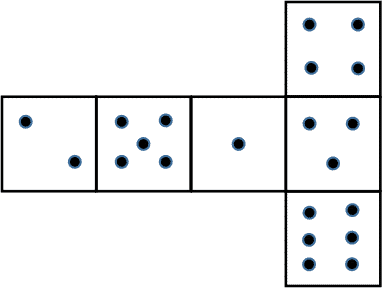 Indicate how many dots will be on the opposite side to the four dots when the dice is folded. Ensure your child has the best revision tools to ACE the CSSE Essex Test. A revision guide that will provide your child will lots of practice questions, on a range of different types of questions. 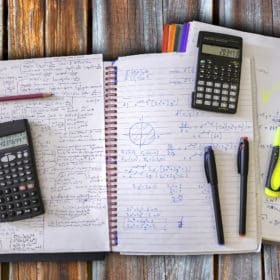 Although we cannot guarantee the exact question styles in the exam, we can provide a general overview of the common types of questions that assess skills and knowledge required for a strong mathematical understanding. Laid out in an easy to read format, this guide mirrors exam style conditions which will boost your child’s confidence in tackling questions for their 11+ assessment. 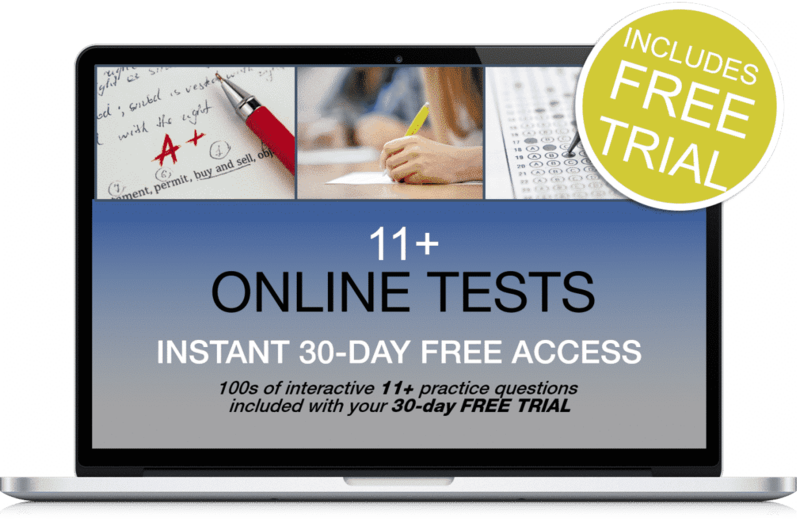 Plus 30-days FREE ACCESS to the exclusive 11+ online testing suite. 100s of online interactive questions and answers for your child to complete in timed conditions (scores and times are saved so you can track their progress with ease). Thereafter, just £5.95 per month. No minimum term. You may cancel anytime. Cancel before the 30-days are up and you will not be charged. 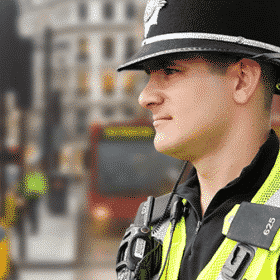 Online suite access on PC, MAC and mobile devices. 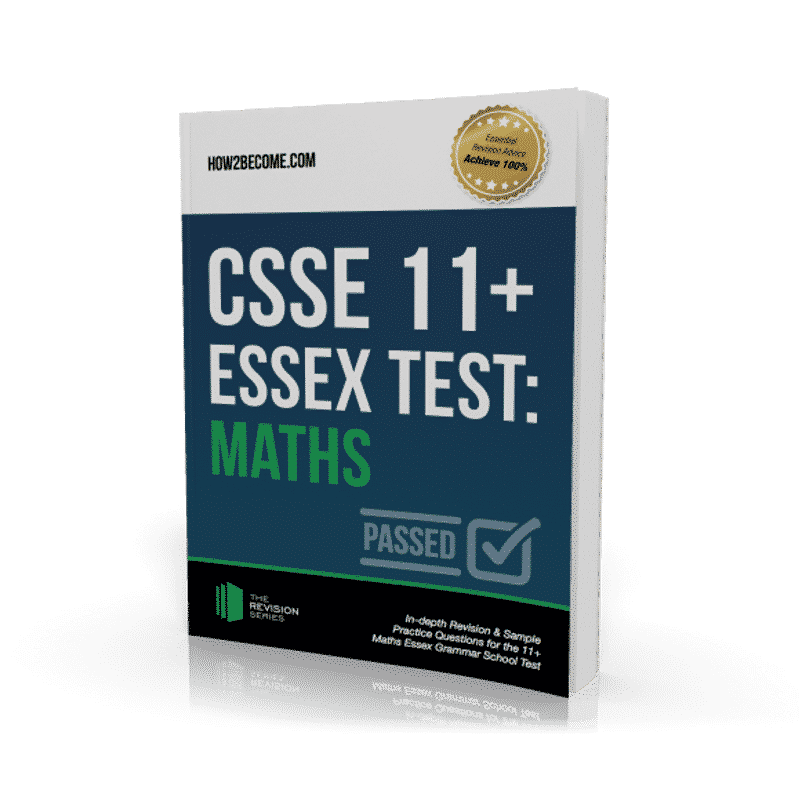 Useful tips – boost your child’s chances of scoring highly in the Maths section of the Essex 11+ grammar school entry test.